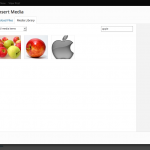 My 3rd plugin – Media Search Enhanced is to solve an issue in a client’s project (again!). In this project, the client uploads tremendous images to the Media Library and later they reported a search bug. When they searched the Media Library, some images showed up in the search results, but some didn’t. When I took a deeper look into this, I found the keyword search seemed to skip the Caption and Alternative Text fields. If the keyword is in these 2 fields, the image will not be included in the search results. It’s actually not a bug, the way WordPress does the search leads to it. 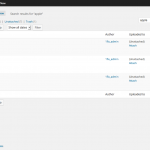 In a default WordPress search, which means query posts with the variable “s”, it only search for “post_title” and “post_content” in the posts table. TODO – Search media file name. TODO – Add result snippet column which shows text snippets around found keyword on the Media Library screen. TODO – Search Media Categories, Tags or Custom Taxonomies. Which prevent the posts being found for the WHERE statement is much unlikely to sustained. Here are 2 screenshots to demo the Media Library search results after installing Media Search Enhanced. It just a simple plugin but should fix an issue lots WP users ever experienced.